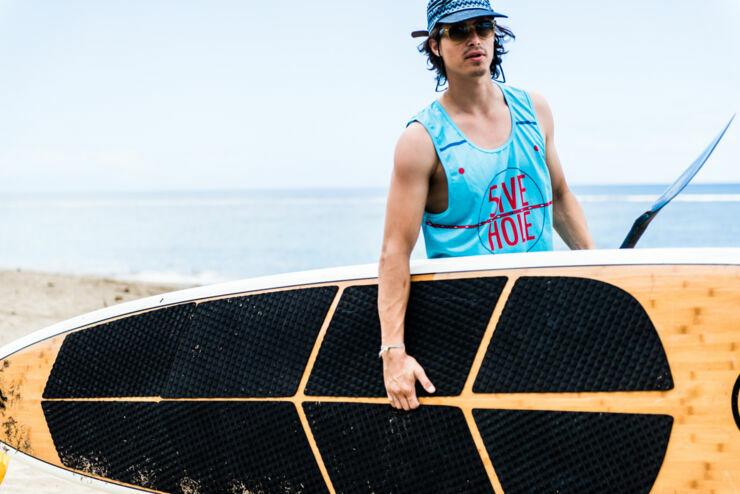 Chances are if you're a fan of Krewella, you've probably seen the custom jerseys of designer Charles Lamb and his company 5IVEHOLE. Lamb started his company in Fenton, MI. back in 2012 as an avenue where he could display his well-designed but affordable custom jerseys and apparel for local hockey teams. Lamb himself has played hockey, and soccer, for around 20 years so knows exactly how important it is to have the right sportswear for your squad. He also knows that people enjoy wearing sports-themed apparel too—so he sells for wearing on the ice and for wearing to look good. Either going for a night out or, in the case of Krewella, for performing in front of thousands of fans. "I've always had a passion for design." Lamb tells Smash.com. "It has manifested in many ways. All the way back in high school I was taking specified courses in architecture and design. Majored in architecture, that then turned into graphic design. I liked the artistic freedom that graphic design allowed. From print to apparel design, web design to photo manipulation, I really enjoy it all." While graphic design was part of his studies, Lamb notes that Jersey design actually began as a hobby. He had friends who wanted their designs drawn up, so that's how he started. The designs were well received, shared online and interest and inquiries started to build. When starting it as a business, it wasn't just the designs that were important, but the type of fabric used was integral too. As was the service part of ordering. "I wanted the company to encompass everything that I felt needed to improve with custom jersey business." he explains. "This included customer service, the quality of the product and uniqueness of the designs. We like to treat every customer as if they are priority one. I've been doing things this way for five years and it has paid dividends. Landing me larger jobs and exposure." This quality control has meant that 5IVEHOLE nows works with a fair few Red Bull athletes in the Crashed Ice series making custom products that fit unlike any other jersey, pant, or sock. "I went from four athletes in 2014 to over 20 athletes in 2016/17." he notes. And the design is a collaborative process with the client. Their input is important, some even provide sketches, or pictures, specify color preferences or other design elements, and fonts. "We take it from there." says Lamb. This approach has led to them working with quite a few music acts who like to wear custom jerseys in their live shows. 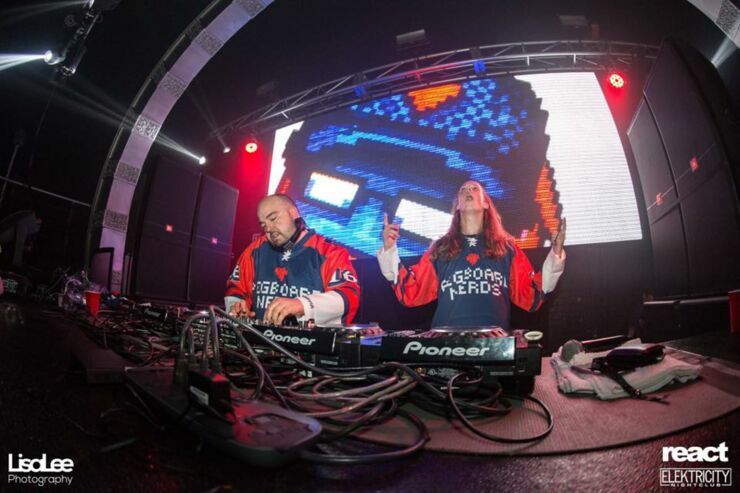 As earlier noted dance music duo Krewella is one of these, another was Norwegian dance act Pegboard Nerds, who wanted custom jerseys designed for their tour. "I now work directly with the Pegboard Nerds on multiple projects." explains Lamb. "We created a limited edition baseball jersey and will be working on something new for the upcoming Fall tour." 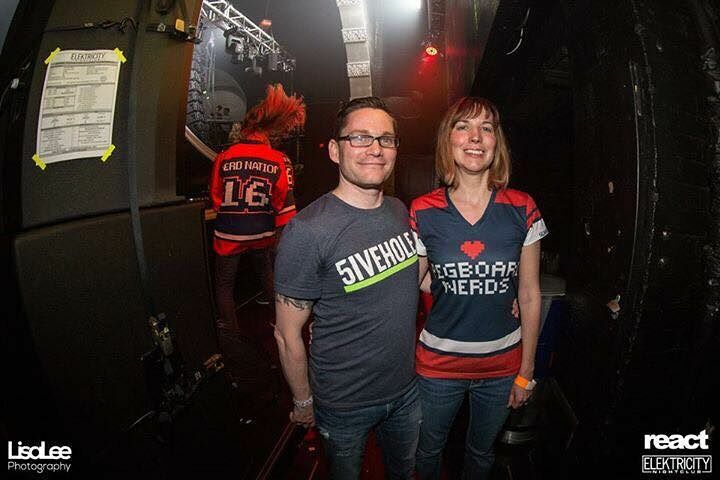 As for Krewella, the pair are under the same management company as Pegboard Nerds, Th3rdBrain management, and were looking for some custom jerseys to be designed. So 5IVEHOLE seemed perfect. 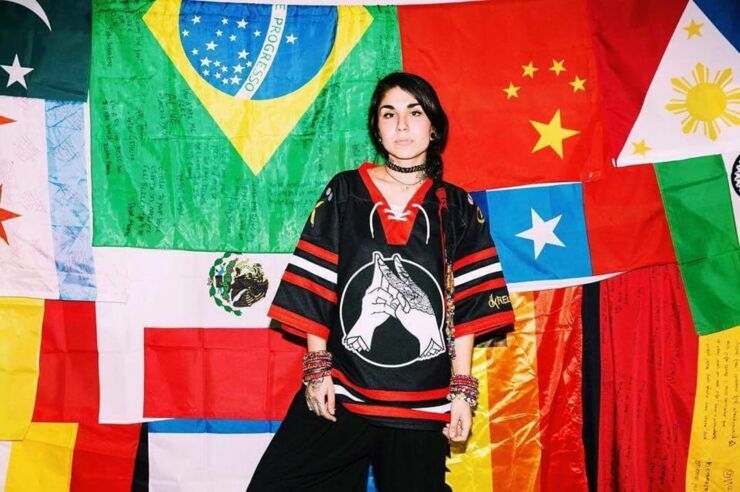 "Last year Krewella put out an EP with the song team and they wanted to put out a Chicago themed jersey. Because, that is where they are from. Within Th3rdBrain it was recommended that they stick with us. Krewella's manager saw our work and we instantly got the gig. I worked back and forth with the manager and Yasmine and Jahan through email. They provided us with general logos and an idea and we created custom logos to mock a Blackhawks jersey with some Krewella flavor." Other music artists Lamb works with include Grabbitz and Unlike Pluto. Lamb says he has has a passion for EDM so it's great he can design custom jerseys for the musicians who work in the genre. "5IVEHOLE is a grass roots company." explains Lamb about what the future holds for his custom jerseys. "I am by no means rich and only invest in my company what I can afford. Social media has been the driving force behind my company. Free advertising through these outlets has allowed me to grow without having to invest a lot. I'd love to be able to put out more branded gear to grow 5IVEHOLE. But, I'm happy with the rate of growth and the experiences that I've been able to be a part of and to share with my friends and wife." You can view more designs or find out how to get your own made at 5IVEHOLE's website. Also see them on Instagram, Twitter, and Facebook.